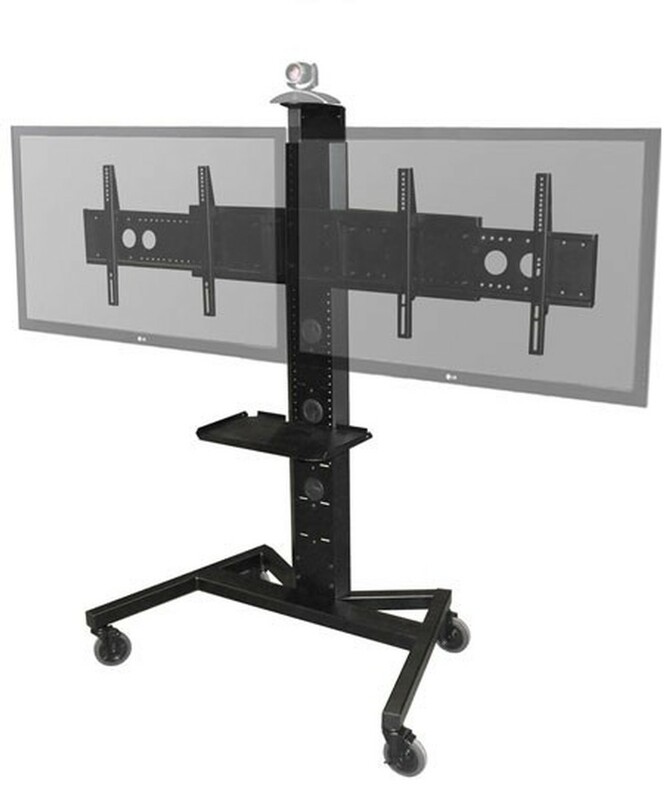 The AVF PM-XFL-D is a rolling TV stand for dual 40" to 70" monitors, it also includes a 6 position adjustable shelf. The stand can hold up to dual 70" displays with a max Vesa pattern of 700mm wide and 4400mm high, and weighing 265lbs. 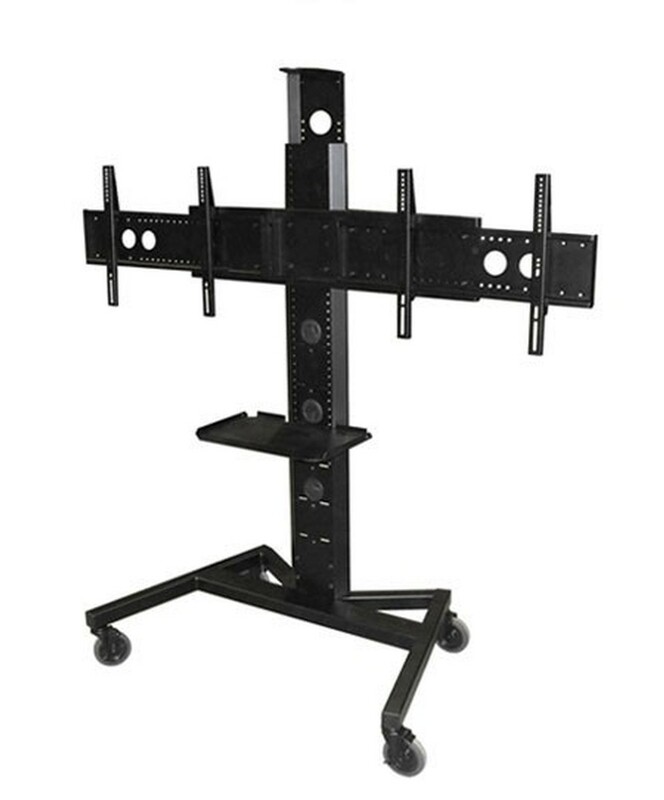 The shelf can be used to hold anything that you need on the go such as a BluRay player, there is also an adjustable height camera shelf so you can use the setup as a VTC stand. The stand is easy to roll with the heavy duty 5" casters, 2 are locking and all are non marking. 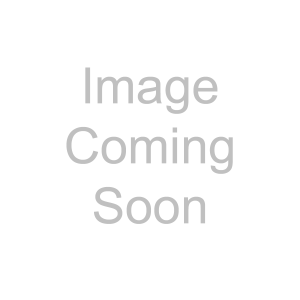 The stand is made of incredible strong 11 gauge steel and the base is a high quality tube construction that will not make the stand feel wobbly. 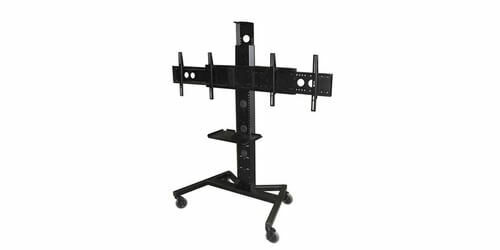 The mount for the TV allows for adjustable height and to get your perfect viewing angle, inside the main pillar is a wiring channel to keep your wires nice and tidy. The stand is made of a scratch resistant powder coat finish and the shelf is 18" wide by 11.5" deep. 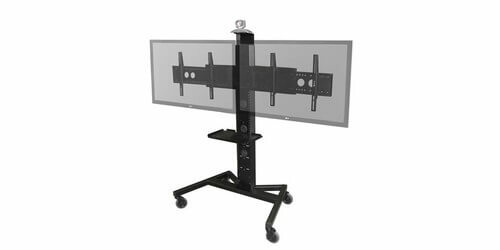 The AVF PM-XFL-D is a high quality mobile stand for your dual 40" to 70" displays with a camera mount and shelf.